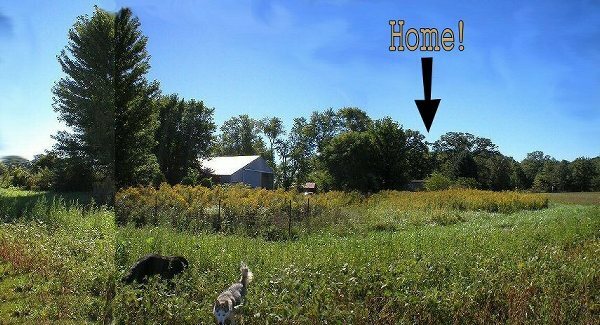 "Party of One" - "Loner" - "Solitary" -- Bear Dog and I live simply and close-to-the-earth on 150 acres of farm land in southern Ohio, USA. I'm a long-distance hiker, a tree-hugger, a horizon-scanner, a star-gazer, and a fanatic litter-gatherer. I go skinny-dipping in a nearby creek, try to walk at least three miles every day, gather litter along nearby roads, read voraciously, and love to travel. At the end of a two-mile hike across fields and through a forest, Bear and I come to a completely secluded creek -- great for cooling off in the hot months, great for letting the environment absorb us. . . and letting ourselves absorb it. It's a fine place to meditate, watch birds, and forget there's a so-called "real" world far, far away. Walking is my favorite of all possible activities, and I try to walk five miles every day. 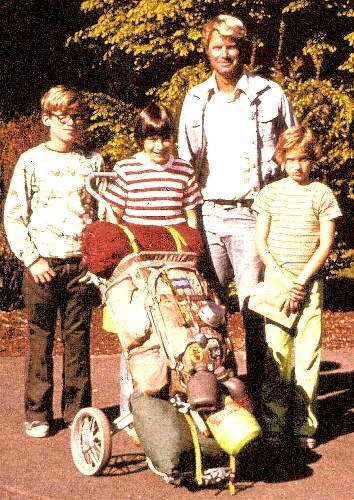 In 1977 I walked from St. Louis (Missouri) to the West Coast (Oregon) along the Lewis and Clark Expedition Trail. That hike took 89 days - almost 2,000 miles. 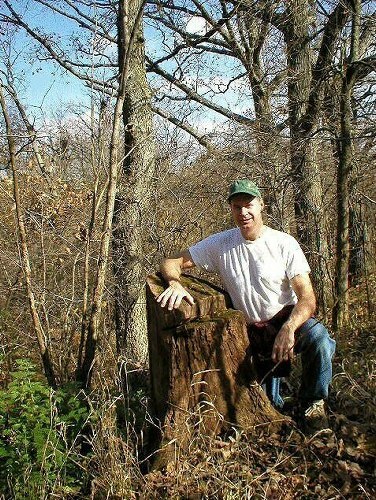 Although it was 29 years ago, I'm still in touch with a few folks I met on that hike. I've walked the Chesapeake and Ohio Canal towpath (186 miles in Maryland - just west of Washington, D.C.) three times. I love the slow pace of walking: plenty of time to really see things, feel them, smell them, get to know the natives (human and otherwise). On long walks, I pull my gear behind me on a cart (as in the photo). OK -- I'm a hermit dude who LOVES gatherings. I'm a solitary guy who LOVES visitors. I'm a wildman who LOVES art museums, Victorian pubs, and long train rides. I'm a quiet fellow who LOVES stormy weather. In the middle of a long Ohio winter, I especially enjoy riding a train to Washington, Chicago, or New York, where I'll wander for days through museums and people-clusters. 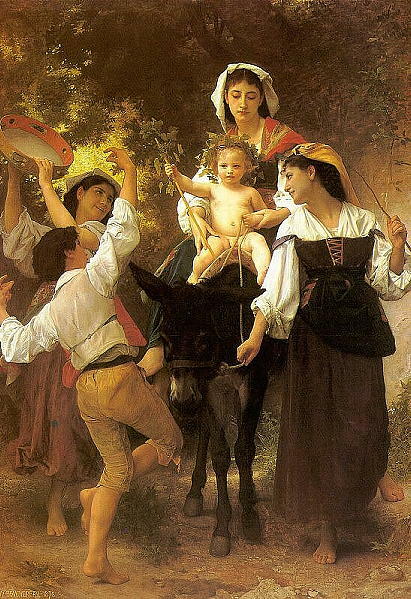 I hope someday to return to France to find as many paintings by William Adolphe Bourguereau as I can. You can't see it in this photo, but my (self-built) house is right under the arrow. The nearest town (larger than 500 souls) is fifteen miles away. Only four or five cars, at most, pass on the road each hour. I like to imagine this is an area that "progress" forgot. It works well as a "hermitage." Care to drop me a note? Please click HERE. I'd enjoy hearing from you, wherever you are. THANKS for visiting.